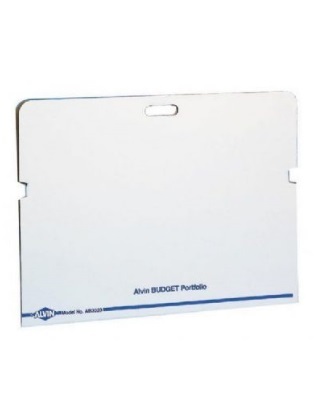 Alvin AB3021 - Budget Portfolio - 24" x 36"
Alvin Budget Portfolio - 24" x 36"
Lightweight but strong corrugated fiberboard portfolios that securely close over contents, protecting documents, artwork, or blueprints from damage due to shifting while in transit. The notched tab locks and self-closing carrying handle provide added security. Packaged 25/box. 26¾" x 38½", content size: 24" x 36". Size: 26 3/4" x 38 1/2"